Home » Green Building » Why Build a Small Home? 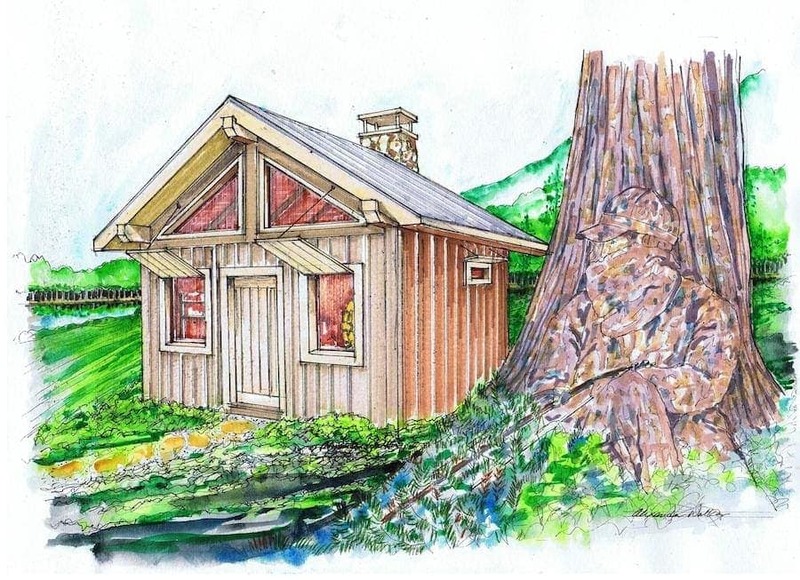 Why Build a Small Home? It is increasingly common to see news articles and blog posts about intrepid small-home owners and the ingenious solutions they use in building their space-saving houses. Like most people, you probably spent a few minutes looking through the photos and reading the backstory to understand the factors that made these people embark on the journey of living in a small home. You might even contemplate the likelihood of following in these people's footsteps. Then you look around and realize it would require a major lifestyle change on your part. Perhaps you feel that all your possessions are indicators of decades of hard work and without them, you would lose a big part of who you are. Or you simply cannot imagine you and your family living in a situation where sharing space and time with one another is a constant part of everyday life. In any case, you suddenly remember your acute claustrophobia and decide to move on with your day without giving another thought to downsizing your home. The question is: Should you give up on the idea of living in a small home that easily? 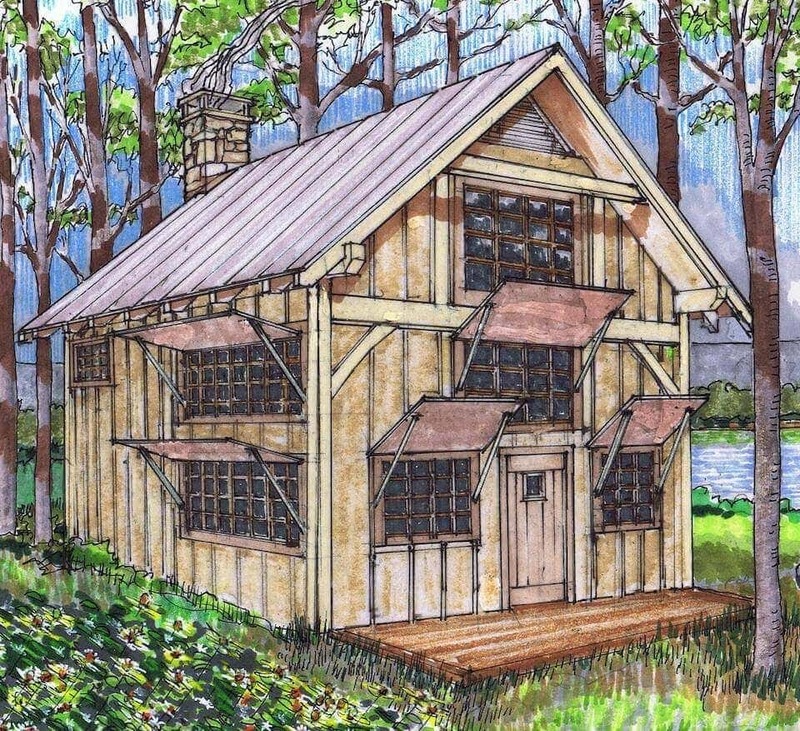 Why build a small home? Let us take a look of a few high points you can only get with small home living. First of all, living in a small home generally means you use less heat and electricity on average. While your electricity usage largely depends on the kinds of appliances you run and the amount of time you use them, as in kilowatt per hour, a small house can help you limit your energy consumption. As you have a smaller footprint, you will be more careful about selecting the type of appliances you wish to install. You are also more likely to opt for small or medium size versions that are more energy efficient while also greatly versatile. Sometimes, you might even wish to forgo using an appliance all together and simply make room for a convenient, energy-free alternative. For instance, you might decide to install a drying rack on the ceiling of your bathroom instead of making room for an electric dryer or completely forgo an electric can opener in favor of a manual one you can easily stash in your kitchen drawers. The goal is to know well which appliances you simply cannot live without and the ones you can easily give up. Of course, living in a small home means you will reduce the sheer volume of basic necessities such as hard-wired lights, which will save you a lot of money in the long run. Whenever I watch a TV show where a bubbly newlywed couple decides to buy a 2500 square foot home, I cannot help but wonder in amazement. First of all, why do they need so much space? There is only the two of them after all, and even if they start having children right away, they can comfortably live in such a large house without having to bump into each other for days. Secondly, who is going to keep it all clean? Even if you make small, consistent efforts every day, dedicating an hour to cleaning up one area of your house for example, you will still need an entire week to get through it all only to find yourself at the beginning of your chores on next Monday. Imagine the difference between having to vacuum 2500 or a 1000 square feet. It is exactly 60 percent less, which means you can dedicate the time you would normally spend on cleaning to your hobbies at least four days a week. The truth is less extra room means more control over your possessions. Many people seem to buy their first house slightly oversized when compared with their actual needs, largely due to the fact that can only be best described as cultural expectations. Because a larger home size is a culturally expected phenomenon, people often end up with extra rooms they simply do not use for anything else except for storing their possessions. In reality, many of these spaces are glorified storage containers for stuff their owners do not need, want, or even know they own. This is not a singular occurrence, and it happens to the best of us. Think about that one–size–too small coat you bought three years ago at a very good clearance sale knowing deep down that it will never see anything besides the inside of your wardrobe. Or that great armchair that looks smashing in bedroom number three, although you might want to avoid sitting in it for any period of time on account of it having a tendency to cause terrible backaches. Of course, over the years, people tend to accumulate items, which seems to happen more rapidly if they have the extra space for placing them. Ten years can go by before homeowners realize their finished basement, once a must-have on their home buying list, is full of junk they never use, or their guest bedroom is, in fact, simply a layaway for unwanted Christmas presents. Up until a few years ago, it was a completely accepted and widespread idea to buy a house on credit. Most people simply did not think about it at all, as this was the norm in the United States. Interestingly, in many European countries, quite the opposite was true until very recently. In fact, the process worked backwards with the result of most homeowners paying for their entire, or large part of their, house with cash. The reasons behind this phenomenon are historical, cultural, and financial. To summarize the process, young people often received money to buy their first small home from their parents then continued to trade up their home as they went along in life. The key factor to consider here is that parents were able to save money for their just-married children because they did not have a large debt of their own, as they also received money from their own parents when they first started out in life. In the U.S. system, this is often not possible. Parents barely, if at all, pay off their home loans by the time their children need to buy their first houses so they simply do not have any money to give away. Therefore, young people also must take out a 30 year loan to pay for their own, increasingly larger, starter home. As depressing as this sounds the good news is, you can break this cycle by living in a small home. Even if you need to borrow most of your money to build a small, livable, comfortable home, it will take you significantly less time to pay it back. Once you are debt-free, you can start saving money for your next home, your children, or that great tropical vacation you have always dreamed of. Sometimes large home owners try to justify their lifelong homeownership debt by pointing to the inheritance they will leave to their families. Do not fall for this rhetoric. In today’s world, selling a house for profit can be difficult. Not to mention, you can simply save all the money you would spend on a mortgage into a trusty, high-interest account that will give you and your heirs much more flexibility. It makes sense: If you have a smaller home, there are a lot less things on it that can break. Of course, everybody can have a series of bad luck or a major event that can cause considerable damage to a home. The key here is to recognize it is cheaper, less labor intensive, and quicker to maintain a small building than a larger one. This does not mean you can slack off on your maintenance schedule, and neither can you try to replace the real deal with quick, temporary fixes all the time. Simply consider the damage a cold spell can do to a large home with extensive plumbing running through three levels, a kitchen, and two bathrooms. Now compare that with a small home where the plumbing is restricted to one wall that the kitchen and the bathroom share on either side. It would take a fraction of the time in the small home compared to the larger one to locate the frozen or damaged section, open up the wall, and defrost or change out the pipes. Likewise, fixing the wall damage and cleaning up after the emergency would take only a few hours. If things go well, you may be done with cleaning up even before the large home owner manages to discover where the problem is located. An important factor to keep in mind about small home living is to always buy the most durable and efficient appliance and building materials you can afford at the time. In a small home, you will use all living areas, appliances, fixtures, and even flooring much more intensely than in a larger one, so the general wear and tear will affect your home more than if it was spread out over more square footage. Of course, you can always replace anything in your home for a better quality version down the road with the certain knowledge that it will cost you much less than what you would spend on a large building. In an economic downturn, small homes generally have greater market value than larger ones. People are looking to downsize, and they wish to come up with a sustainable living solution that fits their new circumstances. It is not only in leaner times, however, when small homes draw great interest and are quick to sell. Generally speaking, small homes consistently perform well on the market as there is always demand for a simpler lifestyle. For instance, many investors buy small homes in college towns they can rent out to single graduate students or couples with no children. This segment of the population is looking for an affordable place to live during their education, preferably away from the undergraduate party scene. In exchange for a convenient location and good price, they are happy to live in a smaller home, particularly if it is semi or fully furnished. Other potential buyers regularly looking for small homes are single professionals especially in large cities, young couples at the beginning of their careers, families who decide to live under their means to save money or pay off debt, and fresh retirees who wish to do something more exciting than cleaning their oversized home with their suddenly found freedom. When investing in a small home, it is important to keep in mind its resale potential. Small homes should not mean badly constructed homes. Under no circumstances should you compromise on quality and safety, including following building codes, when building or remodeling a small building- for your own sake as well as to generate a good resale value. Although it is not a requirement, many small home owners decide to give alternative energy solutions a try. Because a small home generally uses less electricity than larger ones, smaller, and less complex systems can often satisfy a small home’s energy needs. For this reason, most owners also opt for an off-grid lifestyle as it gives them an additional freedom from monthly bills. Indeed, with a self-sufficient, off-grid small home, you can avoid mortgage payments and electricity costs all together. Moreover, if you produce more electricity than you use, you will be the one getting a check from your local electric company each month. Of course, off-grid living is not for everyone, and it is always a good idea to make the transition slowly, experimenting with a small backup system at first. Also, if you like the idea of alternative energy or off-grid living, but you have no clue how to go about designing, scaling, and setting up a system, you should consult a reputable expert who can help you out along the way. One of the benefits of living in a small home is that you can scale down your appliances and take advantage of options normally designed and built for recreational use or apartment living. This is often true for alternative energy systems as well. Marine wind turbines and solar systems, in particular, are useful for small-home owners, as their houses’ square footage is often comparable to that of a boat or RV. For this reason, unlike large home dwellers, small home owners can buy and install complete energy systems that need only very little customizing. As a reminder, installing a combination system, a wind-solar system for instance, is always a good idea, particularly for solitary off-grid residents. In recent years, it has become increasingly popular to repurpose shipping containers and other mobile structures into small homes. The idea, of course, is not particularly new. Caravans, mobile homes, RVs, and even house boats have been popular at one point in history and make a come-back from time to time. The new concept of small-space living can be described in terms of a common thread – luxury space-saving designs. The same mobile small home owners who are happy to cheerfully give up their three bedroom homes with crown molding and a finished basement can turn disgruntled fairly quickly in the absence of high-quality cabinets and wall finishes. And why should they not? After all, they can afford the highest quality quartz kitchen countertops considering that they will need to use a much smaller amount of it for the outfitting of their homes. Moreover, they can safely invest in buying the best quality of all materials knowing well they will be able to take it all with them if they need to move. Living in a mobile small home can provide great flexibility to those willing to follow a healthier job market, or those snowbirds commuting between two seasonal jobs. Naturally, there are a few considerations to keep in mind depending on the kind of mobility you plan for your small home. If you only plan to move your home once or twice in the next ten years, you can keep your original design elements in place and secure your possessions and structure right before the move. However, if the primary state of your small home is being on the road, you should keep in mind safety features that will lock all your items in place and allow you to hook up to multiple types of energy, water and sewer solutions.